It is now official that former KCCA FC midfielder/forward Paul Mucureezi will be an Ankole Lion next season. After months of speculation linking the free agent to the Ankole Lions, he has finally signed for the Mbarara based side on a one year deal. “Yes, Mbarara City FC has signed Paul Mucureezi. Confirmed Mbarara City president Mwine Mwaka. 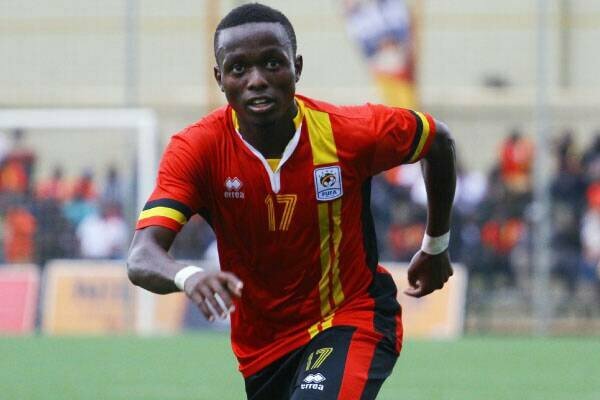 According to Mucureezi’s representative Joseph Ahumuza, his client signed a one year deal with Mbarara City after weighing the available offers at his disposal with an option of getting elevated to greater heights. Besides winning two Uganda Premier League titles, Mucureezi also won two Uganda Cup trophies, one Super Cup with KCCA F.C. He also had a remarkable experience on the continent in the CAF Champions League and Confederation Cup as well as the Uganda Cranes, famously scoring four goals in a single match against South Sudan during a Championship of African Nations (CHAN) qualifier at the Stars Times Stadium, Lugogo. Mucureezi left KCCA FC in June after negotiations to renew his contract fell through following monitory issues. Mucureezi’s joining of Mbarara City comes after the club signed Ssingo forward on Friday, 31st August 2018. Mbarara City now has veteran Kareem Ndugwa, Makweth Wol and Ssemugabi as the center forwards at their disposal. The club has also brought on board midfielder Ivan Eyam, Steven Kabuye, Noah Habimana (Rwandese) and former Onduparaka defender Rashid Muhammed.